Snowcap begonias work well for ground cover in gardens and look nice in containers. Easy to grow and requiring little work, these white flowers will enrich the garden or home. 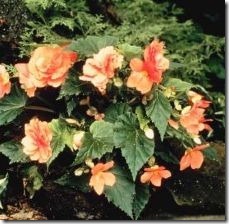 The evergreen snowcap begonia, member of the Begoniaceae family, will grow just under 1 foot high. Their long lasting flowers bloom in white, which gives them the name "snowcap." 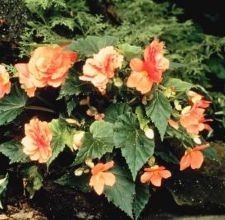 Snowcap begonias grow straight up with small stems that branch out. Healthy and vigorous snowcap begonias will fill their containers, leaving less soil to hold moisture. These plants need more frequent watering. Young or unhealthy plants have smaller root systems and more soil in their containers. These plants can be watered less often. Test to make sure surface soil is dry before watering. Begonias grow well in slightly acidic soil. PH levels of 6.5 provide the best growth. The soil should be free draining so that water will not stand in the soil around the roots. Snowcap begonias will not survive well through winter. Many gardeners use them for annual flowers when planted in the ground. Plants in containers should be brought indoors for the winter.